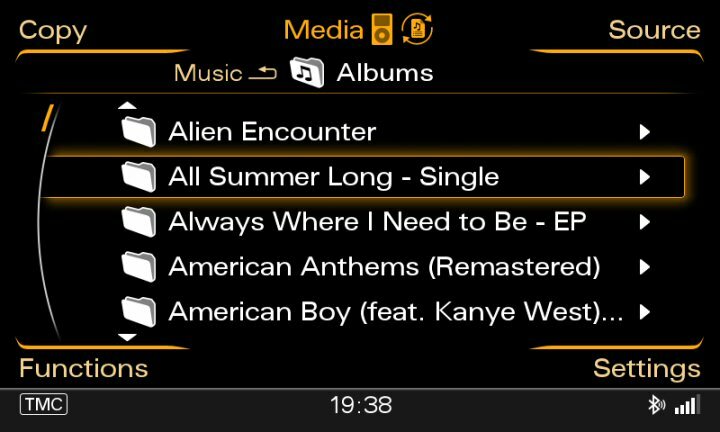 We now offer the very latest AMI iPod Kit. This AMI Kit is only suitable for models with the RMC Radio Media Centre. This system is currently fitted to the following models; A1 8X, A6 4G, A7 4G, and Q3 8U. All Parts are Brand New, Genuine Audi and come with a 2 Year Warranty. Albums, Artists, Playlists, Track Names and Podcasts etc. 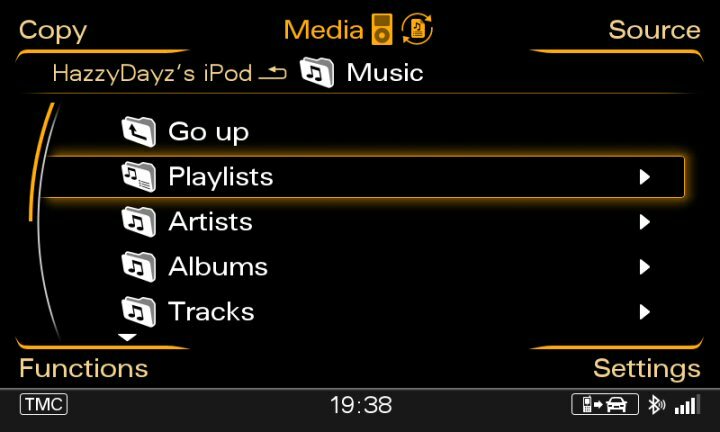 Allows full control over your iPod through the vehicle MFSW and Radio Media Centre. Please note: The iPhone 5 requires an adaptor lead from Apple, this is not included in the price. All Parts are Brand New Genuine Audi and come with a 2 year warranty. 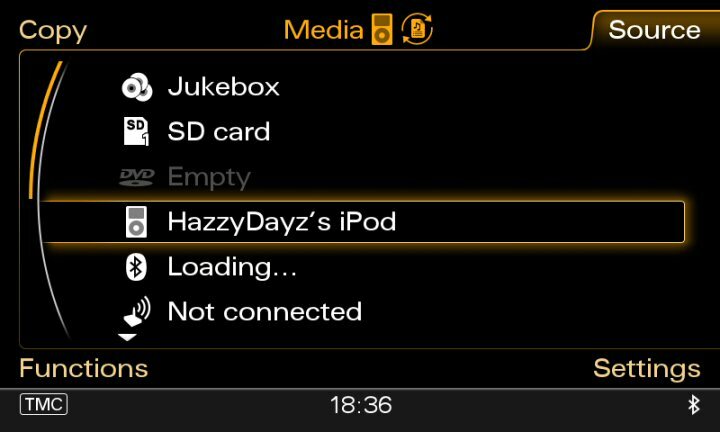 Installation usually takes 2-3 hours. Please note: Below pictures are for illustration only and may vary slightly depending on model and spec.